Industry officials are asking if the Boeing 737's engine nacelle design constitutes an even larger challenge than just ensuring that all vulnerable fan blades are inspected, found and replaced. 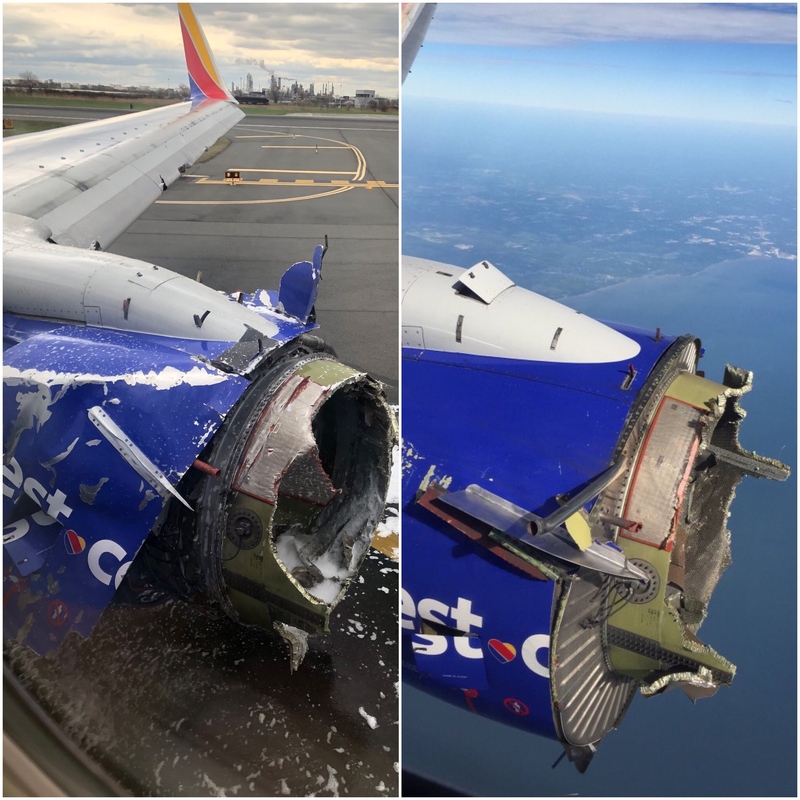 Two days into the investigation into the accident aboard Southwest 1380, the National Transportation Safety Board is increasing its focus not only on the CFM56-7B engine and its fan blades, but the engine’s surrounding structure that tore away, causing substantial damage and a fatality aboard the aircraft. There are more than 12,000 engine cowling and inlet structures flying today on Boeing 737s around the world, the most numerous of any commercial aircraft. 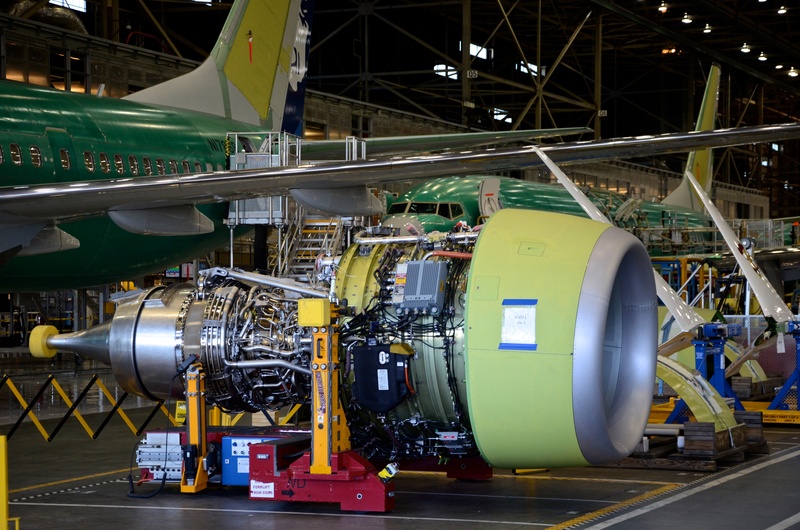 With this close scrutiny, industry officials are quietly asking if the Boeing 737’s engine nacelle structural design constitutes an even larger challenge than just ensuring that all vulnerable fan blades are inspected, found and replaced. The NTSB said Wednesday pieces of the inlet structure were found in Pennsylvania, some 60 miles from Philadelphia, where the aircraft landed safely. Tuesday’s accident wasn’t a one-off. Southwest Airlines Flight 3472 in August 2016 was forced to make an emergency landing in Pensacola, Fla. after a similar failure of one of its CFM56-7B engine blades. Just as in the case of flight 1380, the failure obliterated the engine inlet. In the 2016 incident, the failure sent debris flying into the wing, fuselage and leading edge of the horizontal stabilizer. The extent of the damage to the aircraft was less severe than that of 1380, but the incident no less serious. No one was hurt aboard that flight. In both cases, fatigue cracking on the fan blades of the CFM56-7B engine has been identified as the focus of each investigation. Southwest is inspecting its entire fleet over the next 30 days and the Federal Aviation Administration is expected to issue new inspection directives to airlines in the coming days. The failure of an engine fan blade spinning at supersonic speeds is the most dramatic of the tests required during the development of a turbofan engine. The test destroys the engine, but artful engineering means the explosive force must ensure “the engine is capable of containing damage without catching fire and without failure of its mounting attachments,” according to regulations. That’s crucial to the safety of the aircraft, ensuring that any fragments are contained by the casing and safely ejected out of the rear of the engine. In the case of Southwest Airlines flight 1380 and 3462, the titanium blade was safely contained – but the failure set off a chain reaction that significantly damaged both aircraft. And in the case of flight 1380, caused the first fatality on a U.S. airline since 2009. UPDATE: NTSB Chairman Robert Sumwalt said evidence of both blue and red paint was found on the leading edge of flight 1380’s left wing, an indication of the cowlings trajectory after the initial engine failure. But containment of the blade isn’t the only aspect of that dramatic test. While the CFM International engine met certification requirements spelled out in federal regulations, both incidents included an aspect unable to be replicated on the ground. Fact that remaining blades show so little damage failed parts went out with being caught in the containment structure. I think failed blade picked up next blade a type of sling shot effect took place with the shape the blade flung the failed part out behind the containment structure and that is what hit the window. Dec 73 DC10 fan blade failed missed containment structure same thing burst a window pax half out before going right out. Flange E bolts were suspect as I got the job on Laker dc10 doing #2 engine. Reason turned put to be limit for tip clearance to big and flutter in the blade caused it to fail. But when a part is picked by following blade it will miss tbe containment. Fan blade spacer on cf6 same issue missed containment and just punchs out of cowling. However lets see what investigation brings out.